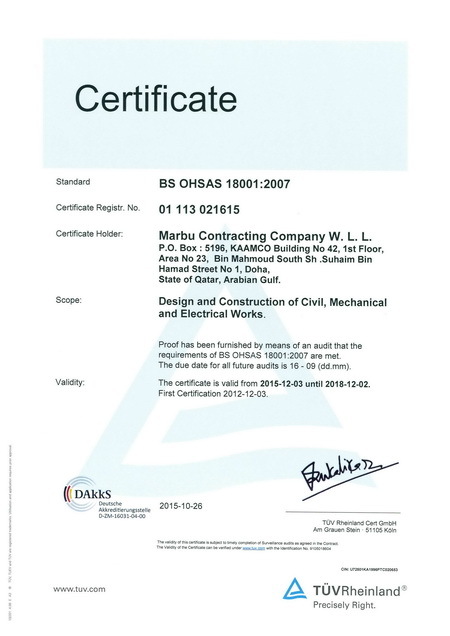 MARBU is certified for OHSAS 18001 'Occupational Health and Safety Management Systems' in Year 2009. Safety and Health is always on top priority, moral imperative and zero incidents is our unwavering goal. At Marbu, we believe that every incident, and therefore every injury, is preventable, and we embed that philosophy into every Marbu project through a combination of technical field procedures, ongoing training programs, surveillance at workplace and internal & external audits. HSE Personnel has stop-work authority, if it is not safe and helps keep workplace and workers safe. We also ask our subcontractors and suppliers to adapt our commitment to safety and health. 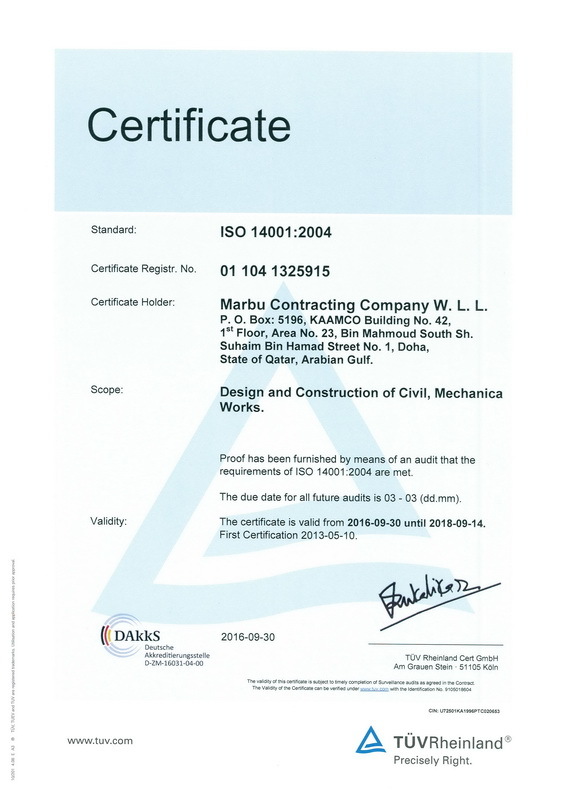 MARBU is certified for ISO 14001 'Environmental Management Systems' since 2007 and committed to protection and sustainable development of environment. Each of our projects, whether it's a Civil, Mechanical or Electrical, may have the potential to adverse affect Flora, Fauna and Land. Our goal always is to protect the environment during a project, and to build in safeguards that will keep protecting it long after the project is complete. We also ask our subcontractors and suppliers to adapt our commitment to the Environment. We make sure that every project we undertake meets & exceeds government regulations. We also take steps to mitigate potential impact on nature from construction activities as well as from the supporting services like Garage, Workshop, Transportation and Camp. Follow reuse recycle practices and dispose the construction and other waste appropriately. Create awareness among the people about the importance of clean environment through continuous training and keep the EMS system up-to-date through regular internal and external audits. MARBU is member of U. S. Green Building Council (USGBC) and working on project targeting gold certificate in accordance with USGBC requirements.